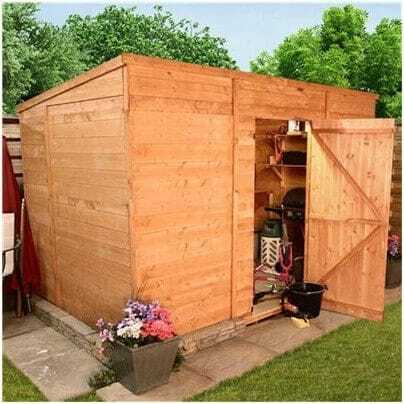 Now this is what we call storage! 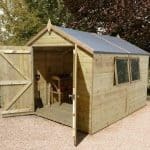 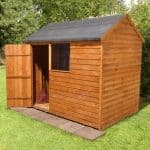 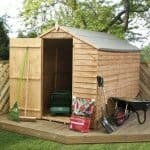 From small to extra-large, this garden shed is your one stop storage solution. 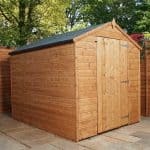 Safe, secure and constructed from hard-wearing wood and with tongue and groove cladding you will be delighted with the storage space inside. 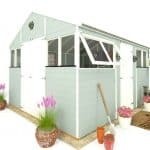 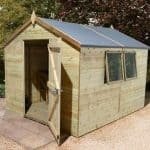 Ideal for garden equipment, children’s toys, and outdoor furniture and complete with a very large front door plus extra tall for extra headroom it is the ultimate in storage for any garden.